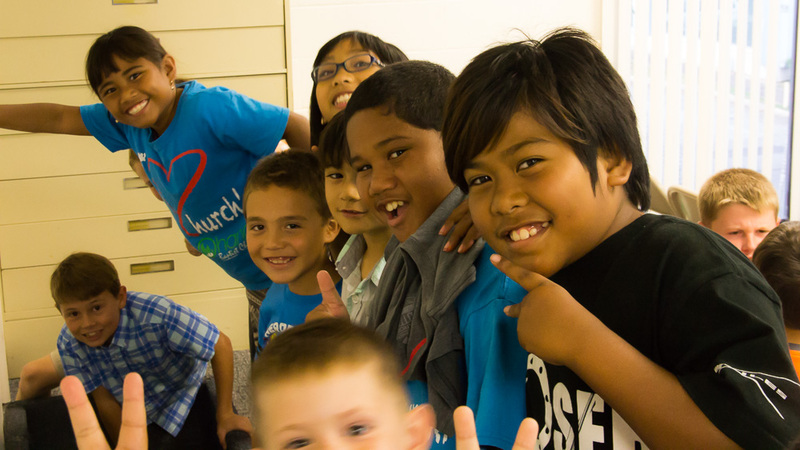 At Ohana, we believe that children are a vital role to the church family. 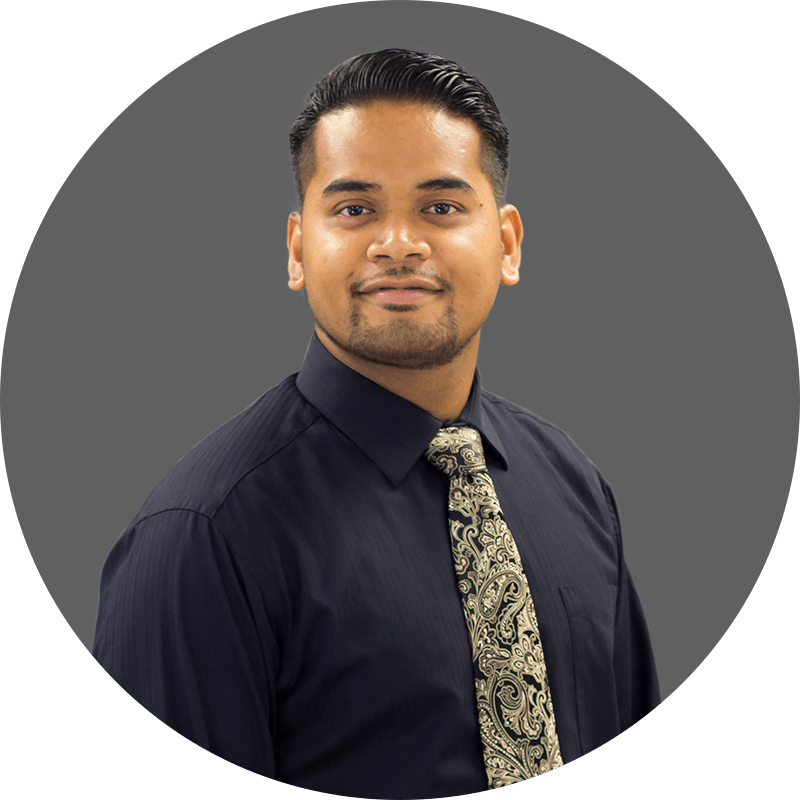 We also understand that to you, it is important to see that your children will be well taken care of, taught with excellence and loved as you would love them yourself. We are dedicated to giving each and every child a stellar Bible education that will help them to grow “in the nurture and admonition of the Lord.” (Ephesians 6:4) We seek to make our short time with them one of their favorite times of the week. Many children in our church can’t wait to come back to Sunday School, Junior Church, or Path the Pirate club and find out what fun Bible stories they will hear about next. Take a few moments and read about each of our age groups and how we carry out these goals. We provide loving nursery care for all of our services in a clean and safe environment. We know how distracting babies can be, but also understand the concern a parent has to know their baby is in good hands. You can drop off your child with a peace of mind to know we will do our best to care for them and love them while giving you an opportunity to enjoy the service and discover what God has for you. When necessary, we have space set aside for mothers who need to nurse, parents with newborns not quite ready to be left in the care of someone else, as well as a remote television room for families with sick babies to still enjoy the service. Please feel free to ask us about any of these things, as well as any other questions or concerns you might have! 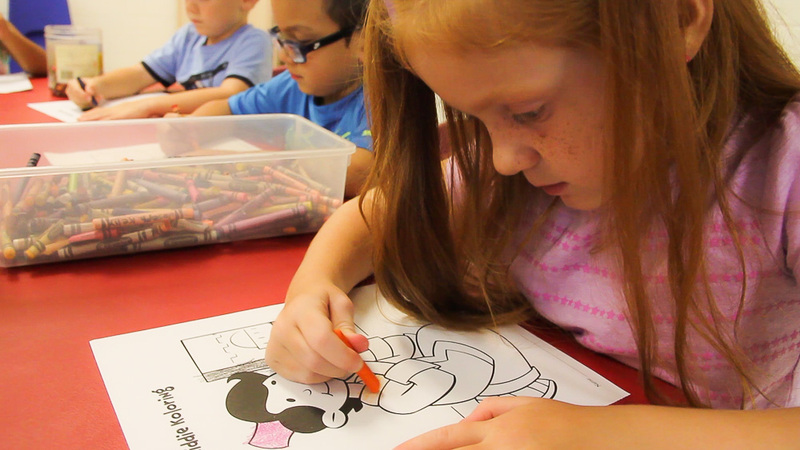 We love to watch the preschool age children as they absorb everything they possibly can. It is exciting to see children discovering God’s Word and the amazing Bible stories it contains for the very first time! We strive to take this formative time in your child’s life and steward it well by instilling in them Biblical truths that will help them the rest of their lives. 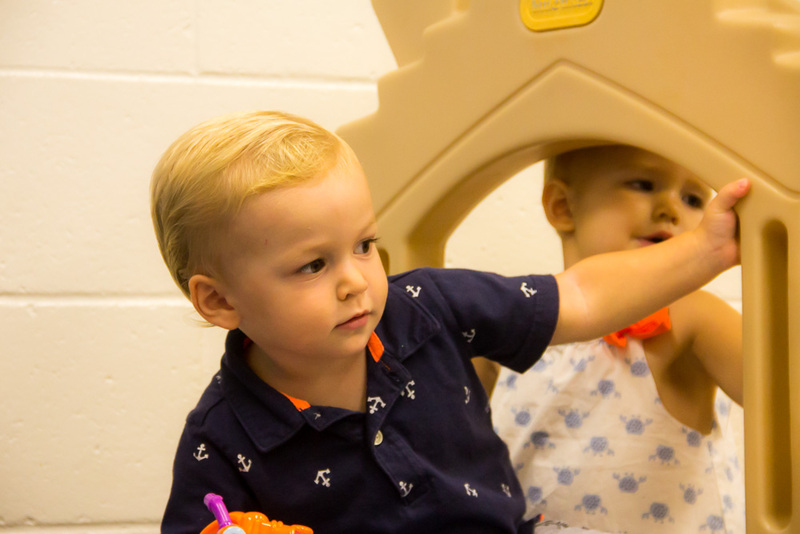 Our preschool class teachers will interactively teach your children straight from the Bible, whether it be through illustrated stories, supporting crafts, uplifting songs, or many other methods of learning. You can rest assured that while you are gleaning from God’s Word in “big church”, your children are being taught the same principles on their level and having truths instilled in them to solidify their love and obedience to God. Our goal is to be a strong tool in your belt as you seek to train your children in the way they should go. The lessons a child learns in the elementary years of life make an immense difference in their foundation for the future. We believe that it is important to lay a firm foundation by teaching, not just simple Bible stories, but concrete Bible truths that they will be able to lean on for their future. Jesus made an emphasis on teaching the children because of their incredible ability to display faith, and we seek to capitalize on that faith as we teach them just how important their relationship with God is. Each week, your elementary children will learn foundational doctrines of the Bible that help them to know and understand who God is, and how He wants to have a relationship with him. Whether it be in our Sunday school, junior church, or Patch the Pirate club, we know that kids of all ages will quickly come to look forward to their time opening God’s Word with their teachers. Patch the Pirate club is a ministry of Majesty Music and Ron Hamilton created to teach children the truths of god’s word through music and the adventures of “Patch the Pirate.” Children love this engaging time each week where they get to be a part of the crew and share in learning the vital lessons of the Christian life. 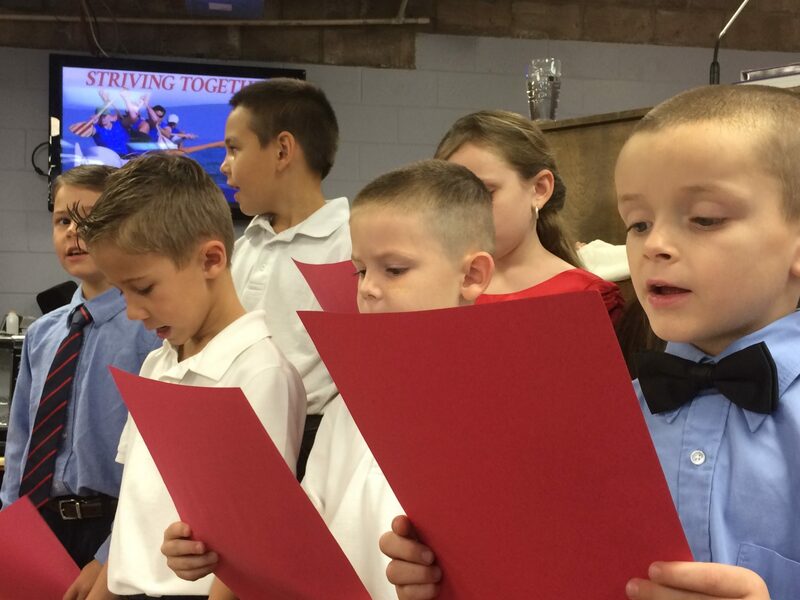 Each child receives a sailors log to assist them in navigating these adventures through daily devotions, supporting activities, and of course, sing the accompanying songs. Periodically, the club will share what they have learned with the rest of the church family through a musical presentation. The club meets Wednesday evenings during the school year, and your kids will not be able to wait to climb aboard and sail with Patch the Pirate! Visit the official Patch the Pirate Club website to learn more about the program: patchthepirate.org. Each summer we offer a variety of opportunities for your children to learn and grow in their personal relationship with God. 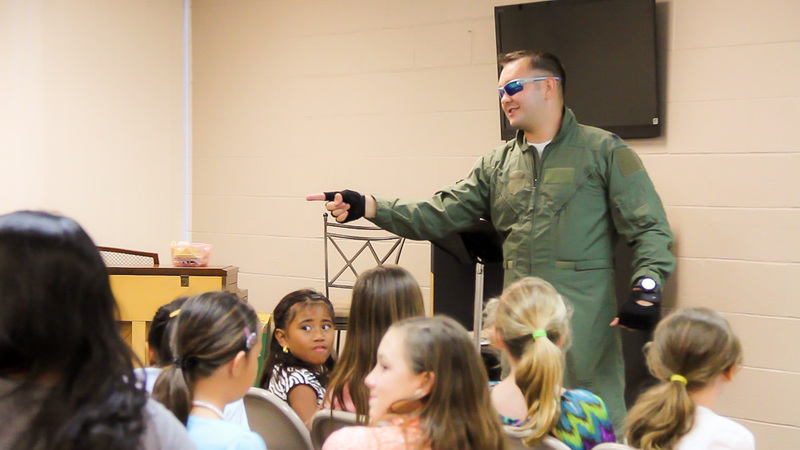 One of this highlights each year for our Children’s Ministry is the annual summer camp. We take this opportunity to get the kids away from the world and all the distractions it contains, and help them to focus on who God is and what He wants to do in their life. Each summer, we have the pleasure of seeing many kids receive Jesus as their personal savior, surrender sin in their lives to God, or simply grow to love Him more. However, we also give the kids exciting activities and games to help them grow physically as well. 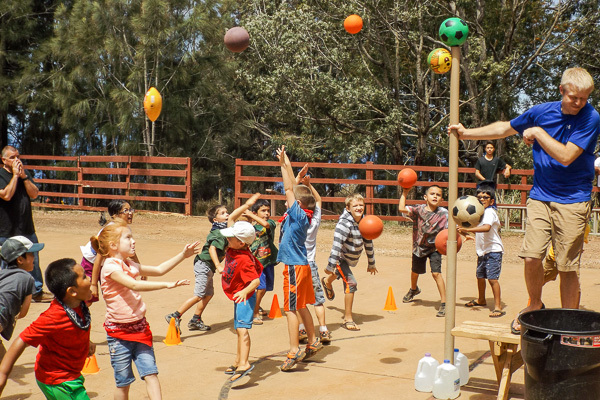 Whether it’s time in the water, hilarious skits, fun crafts, or challenging games like kickball or capture the flag, your kids will have the time of their life! Near the end of the summer, we like to take a week and focus on the spiritual growth of the children in our community through our Keiki Bible Time program. This Monday through Friday evenings event is an opportunity for kids four years old through sixth grade to really get deep into God’s Word for their life but doesn’t lack the excitement that kid’s love either. They will enjoy the competition, verse memorization, and rallies we put on as they really discover God in their life.